We love to decorate for Christmas. But we don't do it every year. Why? Well, because I have a rule. If we don't get the decorations up by the first Saturday in December there is no point in doing it at all. It takes so much work and effort and they need to come down by January 1. So if you wait until the second Saturday, then they're only going to be up for 2 weeks so why bother. So we skip probably every other year. 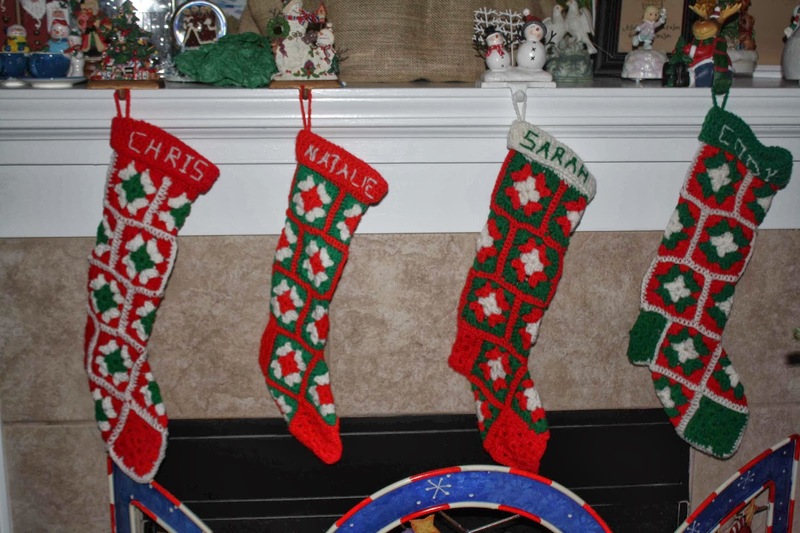 The kids are young so they don't notice, but now they are older and we really want to decorate for them. Chris is in full on finals mode. When I look at Chris all I see right now is the back of a laptop screen because he's been studying for over a week now. His stress level is pretty high. This has been a tough semester. The plan was he would take a study break on Saturday and put up the lights for us. On Monday talk of a big ice storm started. Freezing rain would start on Friday, it would be miserably cold and cloudy on Saturday, and then more sleet on Sunday. So that effectively ended our plans for decorating this weekend. I asked Chris if he just wanted to skip it this year and he was adamant that we decorate for the kids. So I went into problem solving mode. At this point, I'm not quite sure how I'd function without my dear friend Jen's kids. I texted her to see if perhaps her kid 2 and 3 would be willing to help me do the lights. I've never done the lights before but surely between the 3 of us we could figure it out. So Wednesday when the weather was a beautiful 70 degrees, these two wonderful young men voluntarily came over and helped me set up the outside lights. I told Jen that neither of her boys would need to get up on the roof that Chris always does the lights with just a latter. 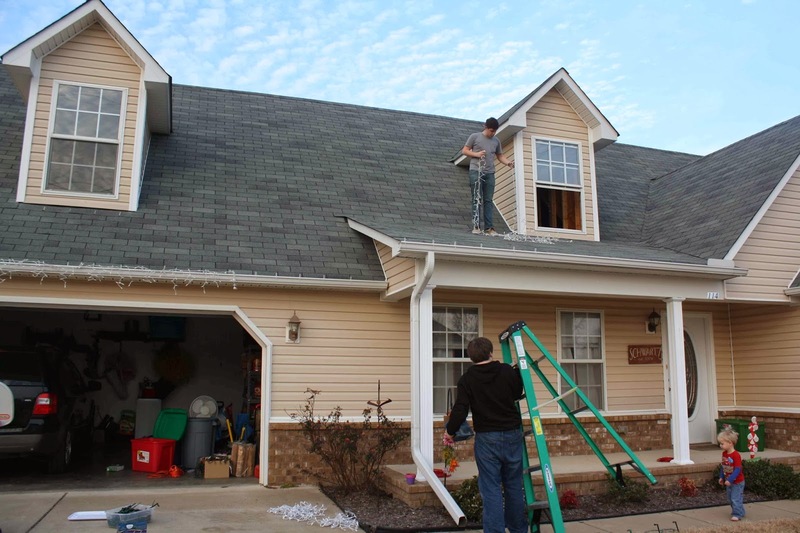 However, within 15 minutes of starting the project, boys being boys decided the only way to do it was to climb up on the roof. We got almost all the outside lights put up before Chris got home from school at 6:30. And I paid them for their help in pizza before we finished the final details with Chris at home to supervise. I'm glad those two were so willing to help. The kids do love the lights. Every night when the timer flips them on the kids want to go out and see them. And I honestly love Christmas lights too. Sure I can't see them inside my house, but the few I can see through the window make me smile. And if my kids love them so much, I'm sure they make other kids in the neighborhood happy too. 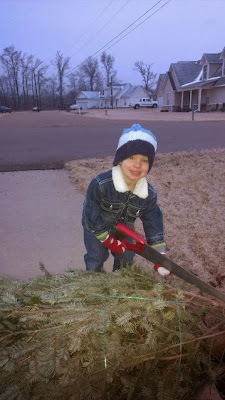 Yesterday, in the freezing cold we went out to pick out a tree. We usually just go to Lowes, they have a decent selection and fair prices in my opinion. I thought our Lowe's had a cover over their outdoor stuff. Not so. So the trees were frozen and icicles on them. I was not a fan of bringing that home, and this year they seemed a little shabby too. So I mentioned to Chris that Costco had some and perhaps we should check that out. 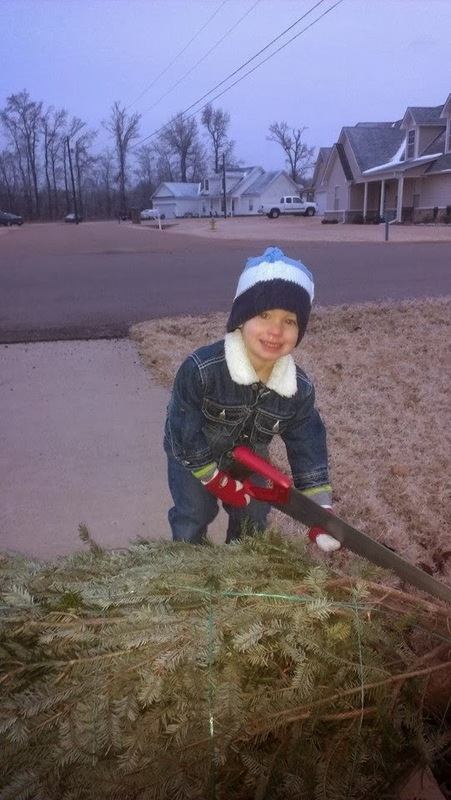 Cody helping Chris trim the tree. 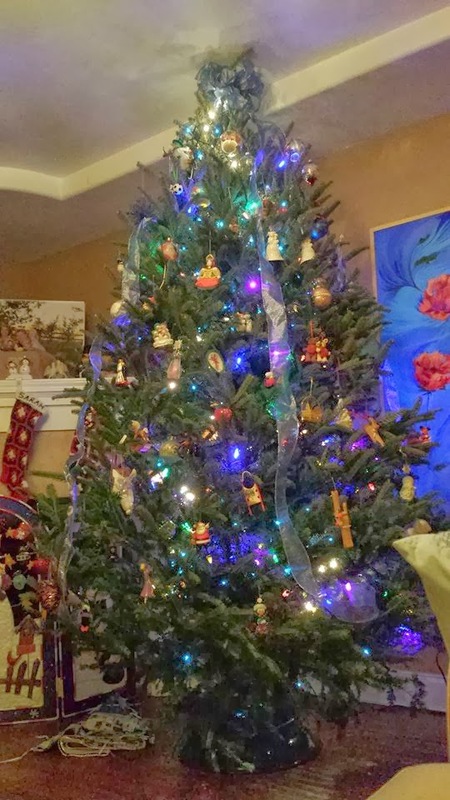 The plus side to Costco, the tree is very reasonable. You get a 7-8' Fraiser Fir for $30. The downside is that is the only choice, and you don't get to pick out your tree. You pay at the checkout, they give you a ticket, you take it to the parked semi trailer, they tie an already bundled up tree to the roof of your car. You wait until you get home unwrap it and see what awaits you. And it is glorious! I am so impressed with how full and healthy it is. The needles are soft. There are no huge bare spots. The only downside is that it is actually too big for our living room. The top of it is actually bent and leaning across the ceiling. I tried to hide that with the topper bow. Did it work? Oh, and I put our beautiful tree skirt on since this picture was taken. I'll have to take a picture of that tomorrow with better light. I like to decorate while the kids are in bed and have them just come out and oooh and ahhh and what we did for them. 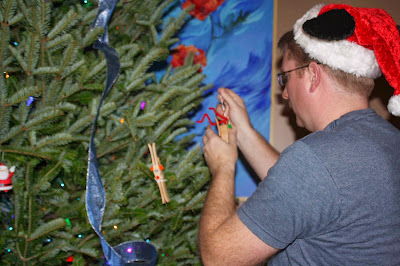 Chris wanted the kids to help decorate the tree this year. 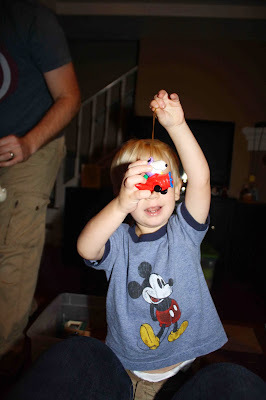 So many of our ornaments are not kid friendly that I did not think my stress level could handle it. And truly, I did not enjoy every minute of trying to get the kids to help decorate the tree with us. But there were some moments that were pretty sweet. We pick out new ornaments every year. And last year for some reason we didn't get the ornaments hung. Maybe because we didn't put up a tree. I'm not sure at this moment. But they were still sitting in their boxes, in the Hallmark bag that we brought them home in. Those were the first ornaments we got out for them and they were both so excited. 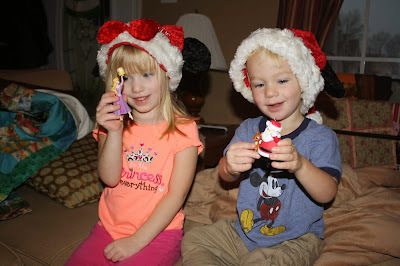 We explained that these are their ornaments and that they picked them out all by themselves last year. Sarah loves her Rapunzel ornament while Cody just kept yelling, "it's MY santa" and then doing his little maniacal laugh. Enjoying their ornaments they picked out in 2012. 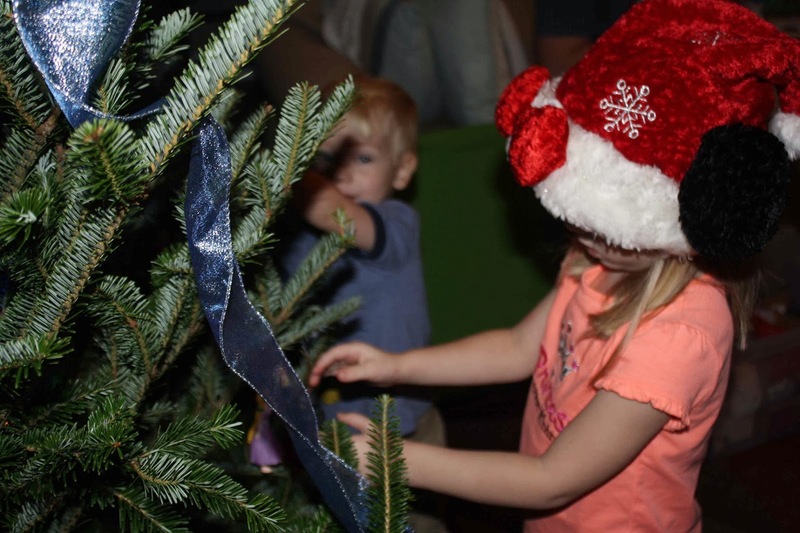 Putting the first ornaments on the tree. Sarah really enjoyed helping. As soon as she put one on the tree she was back begging for another. She also kept putting them all on the same branch. But with a little explanation she started spacing them out a little better. She dropped a few but thankfully they were non breakable. And she'd quickly apologize and say that she was "trying really hard". 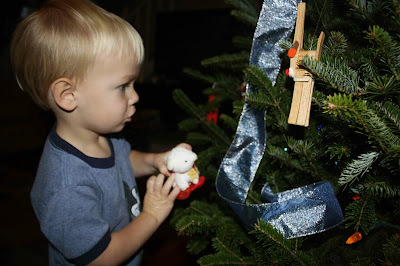 Cody trying to show me the Snoopy airplane ornament. Cody on the other hand just wanted to play with them. 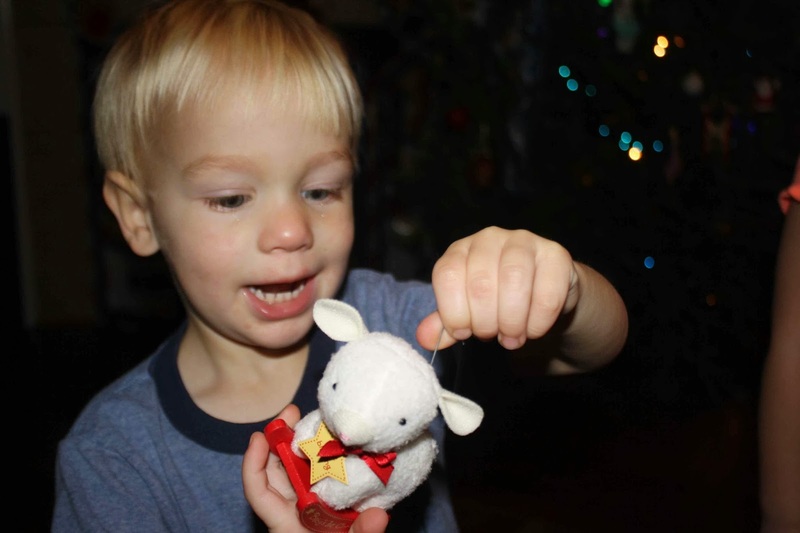 He'd get frustrated easily when he couldn't quite get the loop of the ribbon around the branch or the hook to hang. But he enjoyed pointing out ornaments he liked and picking new ones out of the box. 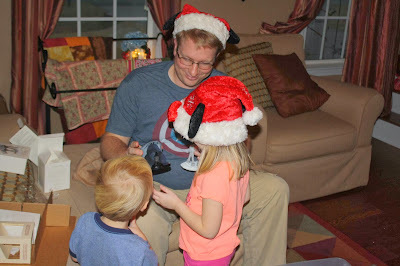 Chris putting batteries in the Star Wars one he picked last year. The kids of course loved those because they have a button you can push and make noise. I asked Chris to please put those up high out of the kids reach. 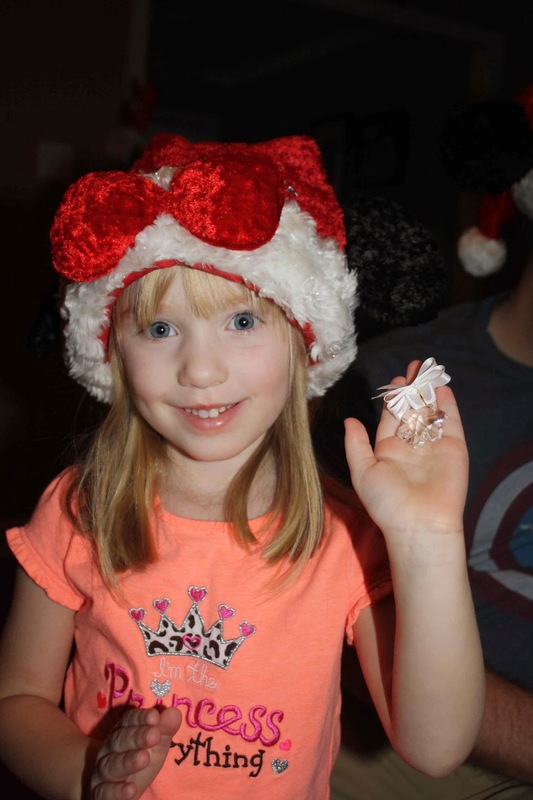 Sarah with our Swarovski snowflake we got in Austria. Cody with his baby's first ornament that he got from Grandma Schwartz. Finding a good place for it on the tree. As we hung ornaments this year we made sure to write the kids names on their boxes. I know right now the Rapunzel one is obvious, but Cody's Santa could later on easily be confused as just one of ours. We also noticed we have a few holes in our collection. We couldn't find our 2010 ornaments. And there are a few other really important ones that are maddeningly missing. Our attic is a wreck but our Christmas stuff has always been kept together. So if the missing ornaments haven't been found by next Christmas I'll hit up ebay to try to find replacements. 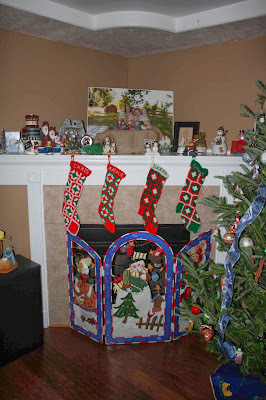 Our mantel all decked out. 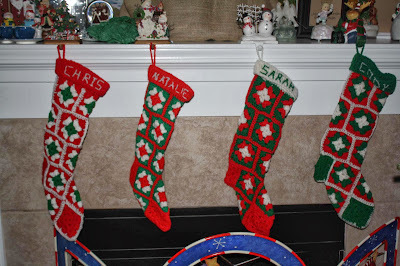 Our stockings all hung by the chimney with care. I'm so glad my boys were able to help you out this year! I guess I should have warned you that they have no fear of the roof since they climb outs every year all the way to the peak.